What would it be like if Jesus had been a photographer? What would he have done differently and which images would he have snapped? 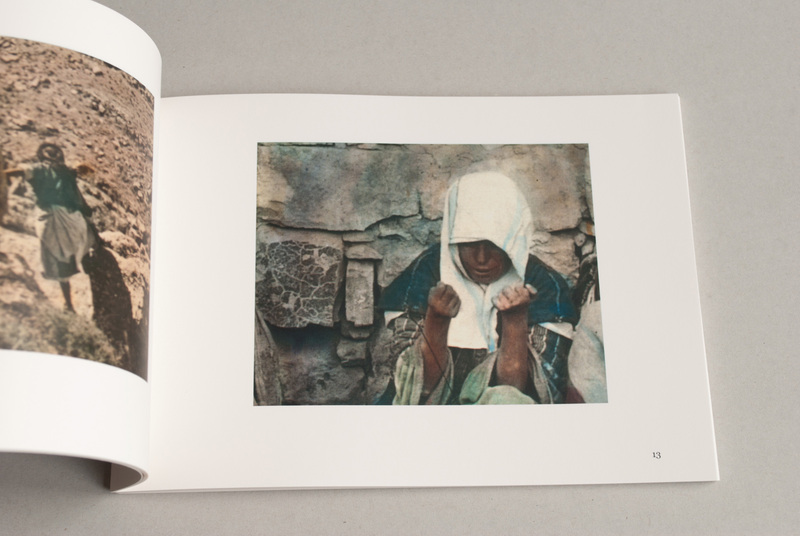 The Gospel of the Photographer imagines this world through a rewriting of the gospel of Mark. Words from the gospel were replaced by words connected to photography, resulting in a booby trapped text in which photography appears as an agent of miracles and healing—and announces itself ultimately as the new religion. The book includes twenty-five newly discovered photographs. And rising very early in the morning, while it was still dark, he departed and went out to a desolate place, and there he took photographs. And Simon and those who were with him searched for him, and they found him and said to him, “Everyone is looking for you.” And he said to them, “Let us go on to the next towns, that I may take photographs there also, for that is what I came for.” And he went throughout all Galilee, photographing in their synagogues and casting out demons. Full color digital printing, sewn paperback, size 21 x 15 cm, 64 pages. Priced at € 25 plus shipping. Order in my webshop or by sending an email. The 1st print has sold out. The 2nd print is now available. 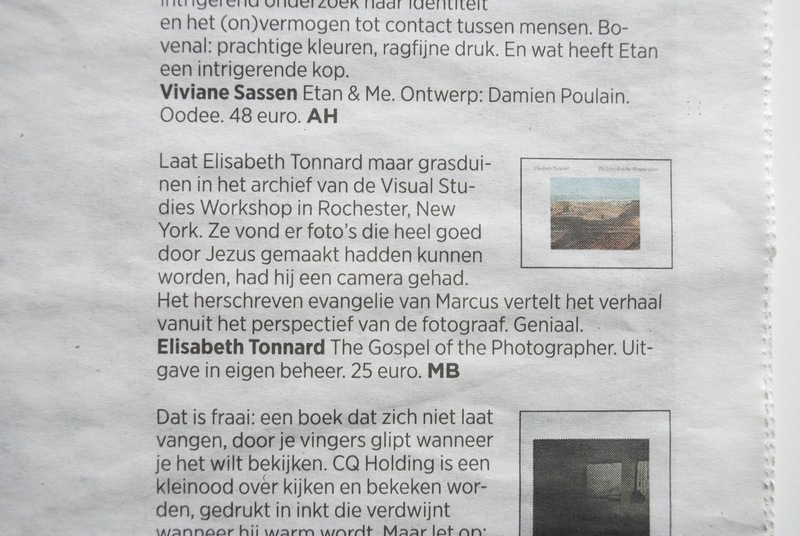 Published in Leerdam, The Netherlands, September 2013. Chosen as one of the 10 Best Books of 2013 by Jeffrey Ladd on the Photoeye blog. 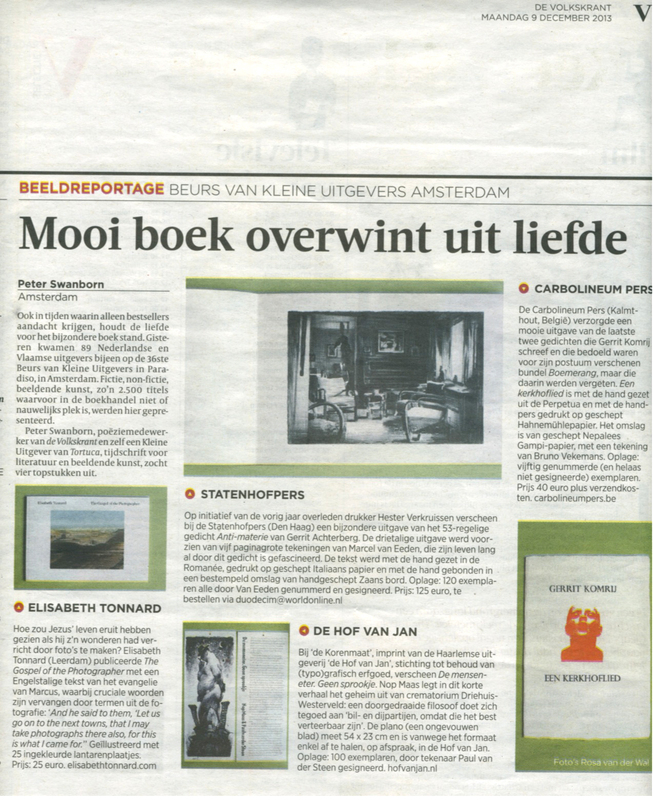 Also recommended in newspaper De Volkskrant, by Merel Bem (top recommended books of 2013) and by Peter Swanborn (top four of books). The book is included in the collections of the Bayerische Staatsbibliothek, Bibliothèque Kandinsky (Centre Pompidou), Brooklyn Museum, International Center of Photography Library, Jan Michalski Foundation for Writing and Literature, Kunstbibliothek (Berlin), MoMA Library, National Library of The Netherlands (Koninklijke Bibliotheek), New York Public Library, Zentralinstitut für Kunstgeschichte (Munich).